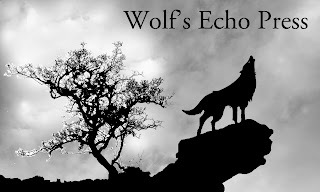 This past Wednesday, all the rights to Bad Policy officially reverted from my publisher to me and the second edition went live using my publishing company, Wolf's Echo Press. I’ve already discussed the self-imposed angst I generated by reediting and reformatting the book. Today I want to talk about one of the things independent authors often say they most cherish, the ability to choose how to price and promote their books. The print decisions were fairly easy to make because I’ve had practice when I developed the print edition of my Kindle Scout winner, Ant Farm. I use CreateSpace to prepare the print edition for sale on Amazon and IngramSpark for all other distribution. The reason for the two versions is the difference in royalties CreateSpace pays for Amazon and all others. The list price is $14.95, of which they take 40% off the top if the book is sold on Amazon or 60% if sold in “Expanded Distribution” (any Amazon competitor, whether online or bricks and mortar). That leaves $8.97 (Amazon) or $5.98 (Other). From that, CreateSpace deducts both a fixed charge per book ($0.85 for books with 110-828 pages) and a variable charge of $0.012/page (for Bad Policy this comes out to $3.19) for total per unit deductions of $4.04. My payment (combining my roles of publisher and author) is what remains, $4.93 if the book sells on Amazon and $1.94 elsewhere. As an aside, note that even if we assume there is no profit for CreateSpace in the $4.04 fixed costs of producing a book, they and Amazon still make $5.98 (before shipping costs) per book sold on Amazon, compared to the publisher’s and author’s combined take of $4.93! At IngramSpark, the royalty calculations are a bit different because the publisher determines the wholesale discount. I set mine at 40%. My thinking is that bookstores will be ordering this book because of customer request, not to stock their shelves. Therefore, the standard discount makes sense. Starting with the same $14.95 with 40% wholesale discount, leaves $8.97. Ingram has a higher charge to print the book ($4.84), leaving $4.13 for the publisher and author. That’s eighty cents lower than what CreateSpace pays for Amazon sales (so I use CreateSpace for that sales channel), but a whopping $2.19 higher than CreateSpace when it comes to any other sales channel. Another reason for using IngramSpark for bookstore sales is I have had bookstore owners tell me they will not carry or order a book published by CreateSpace because it is owned by Amazon, who they see as an unfair competitor. Figuring out what to do with print was the easy part. How to price the ebook and where to sell it required (and will require in the future) considerable thought. The original ebook price for Bad Policy was $5.95. Cabin Fever’s ebook still has a $5.95 price tag. Kindle Press priced Ant Farm at $3.49. Amazon, gorilla of the ebook market with a roughly 70% share in the U.S., pays royalties at a 70% rate for books priced between $2.99 and $9.99, provided the books comply with a few rules that are easy to follow. Prices outside that range qualify for a 35% royalty. I like 70% better than 35%—about twice as much. I did a scientific survey of 1 person (my life partner, Jan). She said to price it at $4.00. The marketer in me changed that to $3.99 and that is its price. We now arrive at the decision point over which much ink has been spilled: go exclusive with Amazon’s Kindle Direct Publishing (KDP) or sell across multiple platforms. There are excellent arguments for both sides. I looked at my past sales for guidance. Amazon has sold over 80% of the ebooks for Bad Policy and Cabin Fever even though the publisher made sure the books are available everywhere. 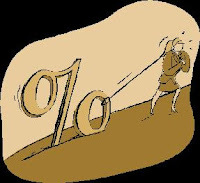 The KDP exclusivity period runs for ninety days, when it can be renewed for the next ninety days or not. The biggest advantage for going exclusive with Amazon is to have the book available in Kindle Unlimited (KU) and the Kindle Owners Lending Library (KOLL). Thirty percent of Ant Farm ebook sales have come through the KU and KOLL programs. Yes, if a book is not available on KU and KOLL, some people will buy the books, but those folks have already had three years to purchase Bad Policy. 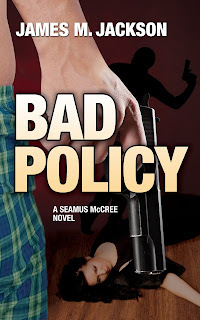 Consequently, I decided to start Bad Policy’s rebirth by going exclusive and trumpeting to KU participants that for them the book was now free. Of course, they have to read the book before I see any royalties! I’ll do the experiment for ninety days, evaluate it, and then decide what to do for the next ninety days. That’s life in the independent author lane. Oh, and here's the link to Amazon if you're interested in in the Seamus McCree novels. This blog originally appeared on the Writers Who Kill Blog 4/17/16. Good luck with Part II Jim. Will be interested in your progress. Thanks Judy -- it's a marathon, not a sprint. So glad our calculations are similar, Cindy. It's always a bit scary that my only check is my left hand confirming my right hand! Kate -- I paid $49 one time and found a coupon so it was free the second time. But ... I do my own formatting and I've already paid someone to do my book cover. They may sell some other services; I don't know since that wasn't my plan.